Bioderma and other micellar waters are tricky because there is so much different and conflicting advice about how to actually use the stuff! Some people use Bioderma and Bioderma alone to remove their make up and as their whole skincare routine. Me, on the other hand use it as only part of my routine so I have put it in a little video below. If you want to buy Bioderma you can get it here from Boots! 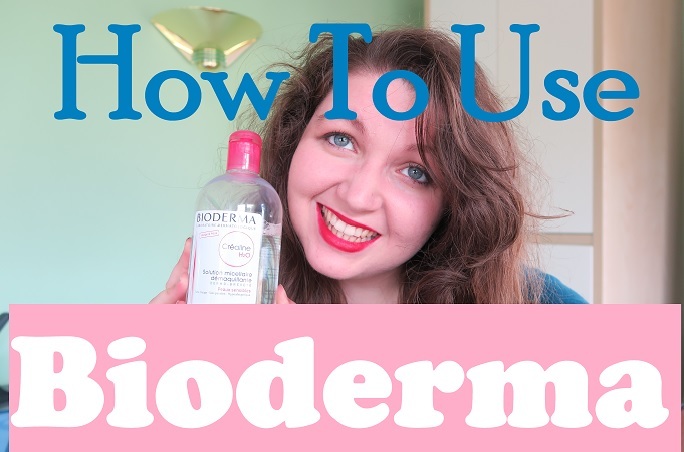 Have you tried Bioderma or any other micellar waters? How do you use it? I'm really bad at forgetting to remove makeup. I've never heard of this before. Bioderma is amazing, would totally recommend! I have heard of this before though and it looked great, seems very neutral for skin too, sounds brilliant! Haha I used to be like that until I got 20-something acne! I've seen these products around!! I must check them out as they seem pretty good! I would totally recommend Bioderma, I've not tried any other micellar water but like the concept!